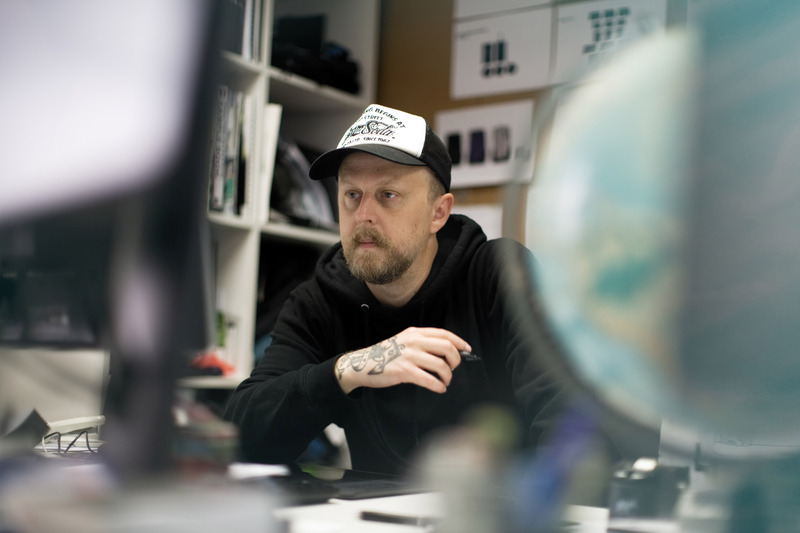 Marcus Johnsson has been building bags and other accessories for over a decade. He’s also an avid traveler, having visited more than 60 countries and counting, including unusual places like North Korea and Mount Everest. Needless to say, Marcus has tested, trialed and built plenty of luggage in his lifetime. He thinks about its construction more than most. So, when it came to finding out what makes a good travel bag, he was the perfect person to ask. 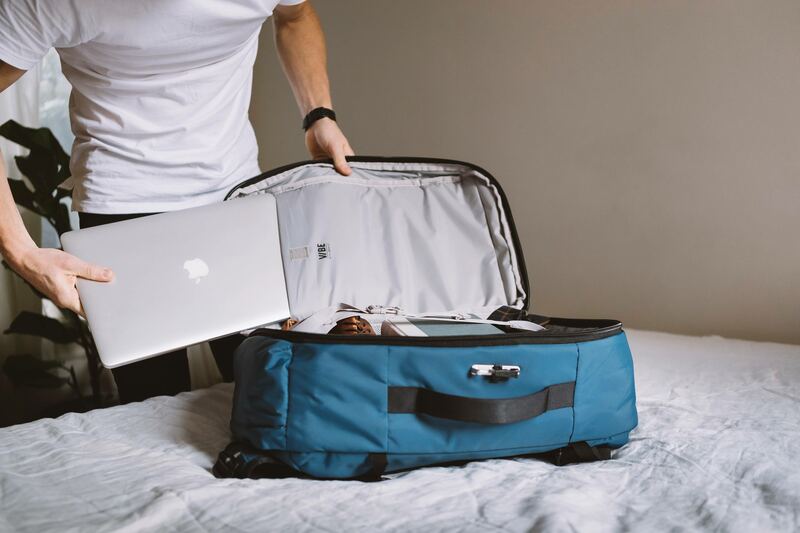 In this interview, we cover things like what people think they need in a bag but actually need, the three key things to look out for in a good travel bag, plus why soft cases are better than hard cases. Here is some insight, with Marcus Johnsson. Marcus, what is the first thing people should look for in what makes a good travel bag? I definitely think that one of the big things people think they’re looking for is that it’s really light. But, that’s not always the best thing. You want it to be easy to move and get around, but you also want it to be durable. After traveling a couple of times with a super lightweight bag you often realize how fragile they are. Baggage handlers at the airport and general wear on the road can be really tough on luggage, so you want something that will last the distance first and foremost. That might add some weight to make things high quality and strong, but if you have some other components to make it easy to move, then the tradeoff is worth it. So what are the three features you’d look for if you were buying a travel bag? Wheels are a must with large travel bags especially. You want to look out for good, sturdy wheels that will go over different surfaces – from cobbled streets, to up gutters and stairs, or even just along thick carpet in a hotel. Most people are buying bags in a mall with easy, hard floors where any wheels will work well. Sometimes you forget that’s not the surface you’re normally taking the bag on. Handles make a big difference. I always make sure there are multiple, solid handles on a bag. With a telescopic handle that pulls out, you want to look for one that doesn’t rattle around in its casing. That means it could break easily. Some extra grip to help carrying helps a lot too. The other handles are your lifting, or hold handles on the bag itself. You want to make sure these are well padded for hand comfort. You also want to get your hand easily in, instead of needing to dig through it. Multiple handles are really important too, on top and both sides. This makes things easier to grab off a luggage belt or get in and out of a car. You don’t want to be forced into holding things in one direction. It’s great to be flexible. I use Tough Zips on the products I built at Pacsafe. As the name indicates, this makes them tough and strong. One thing that can easily happen during transit is that the zippers break up and expose your contents at the risk of losing a lot of it. Tough Zips are also puncture-proof which make it almost impossible to simply get into the bag by piercing the zipper with a pen. Security wise it’s also good to be able to lock all your zippers together. 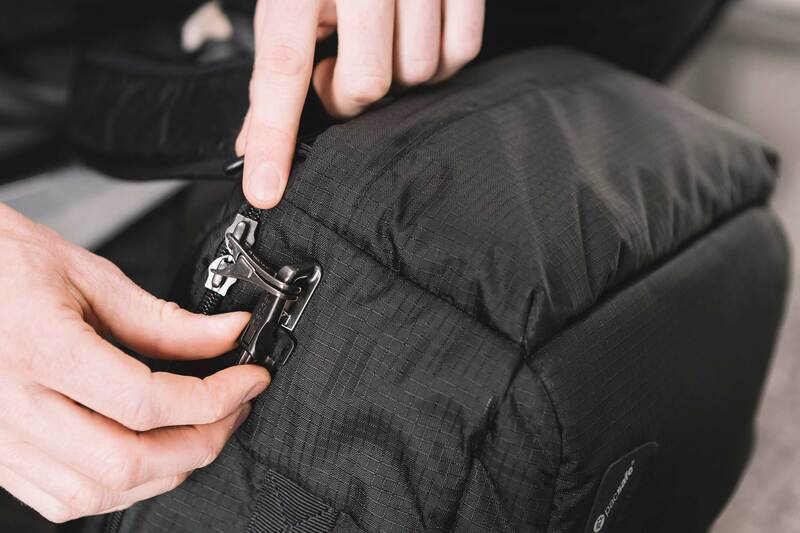 Ideally, they lock down onto a single point, so you don’t need multiple locks for every bag compartment. That’s the key one. Puncture proof zippers are also important, because it’s a bit silly to have a bag that locks well that can still be easily broken into using a regular Bic pen. I’d recommend people look out for that as well. Last, a good option is to have some kind of anchoring system if you need to leave your bag for a few moments in busy places. 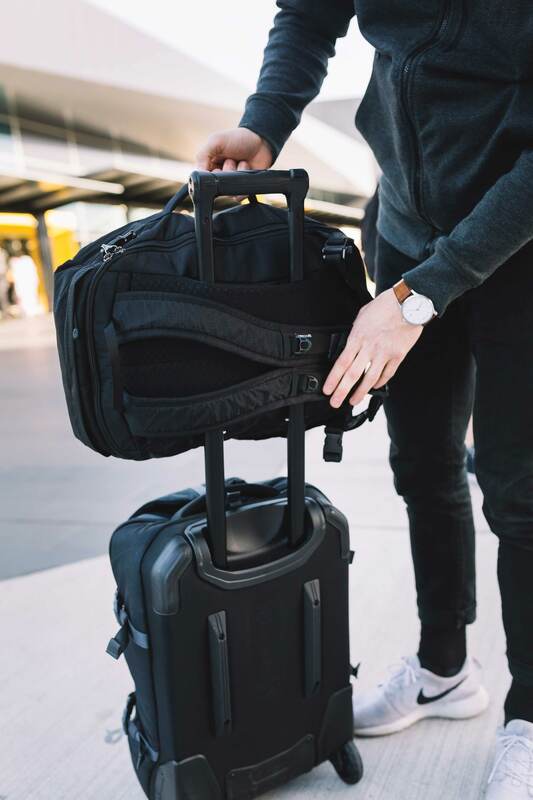 Some of our travel bags have steel wire cables with the bag you can use to lock in place around a pole or table, or even just together with other bags. Great for when you want that bit of extra security checking out of a hotel or something like that. And the big one – which is better, soft cases or hard cases? Soft cases for sure. I was never an avid user of soft cases in the past, but after starting to use soft cases more recently it’s really changed my mind. With hard plastic or metal cases, you can’t just open them a little bit to stuff something extra inside. It’s really frustrating if you want to add things in on-the-go. You have to fully zip it out and open things on the floor. Soft luggage you can zip open a little standing up and shove in a jacket or something you’re not using. From a packability point of view when stacking things in your car, soft luggage also means you can move things around and squash them in easier. You don’t have those rigid restrictions. If you are transporting something a bit fragile, you still have the option of putting that in the more structured bottom half of the bag. It’s like you’re getting the best of both worlds, in some security and structure, but with the flexibility of something like a duffle as well. 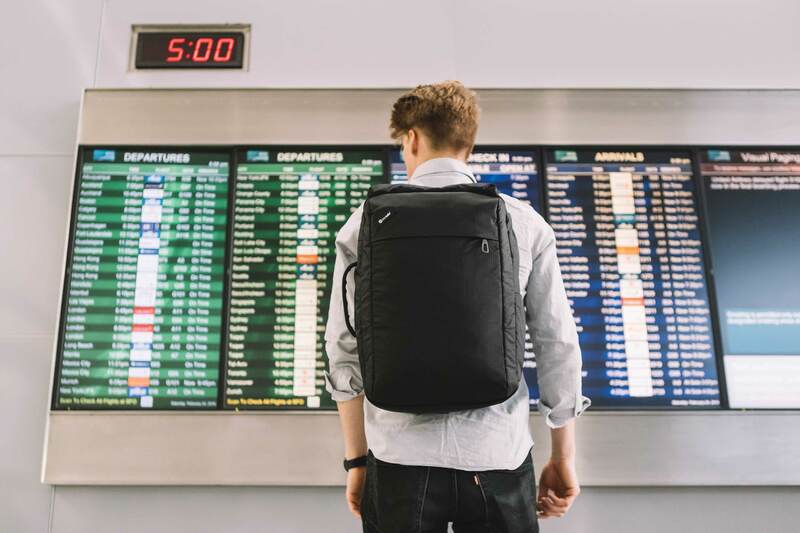 To check out some luggage that Marcus has designed check out these of anti-theft travel bags at Pacsafe.